Winter Wilder | Sabrina the Teenage Witch Volume 1 Giveaway! 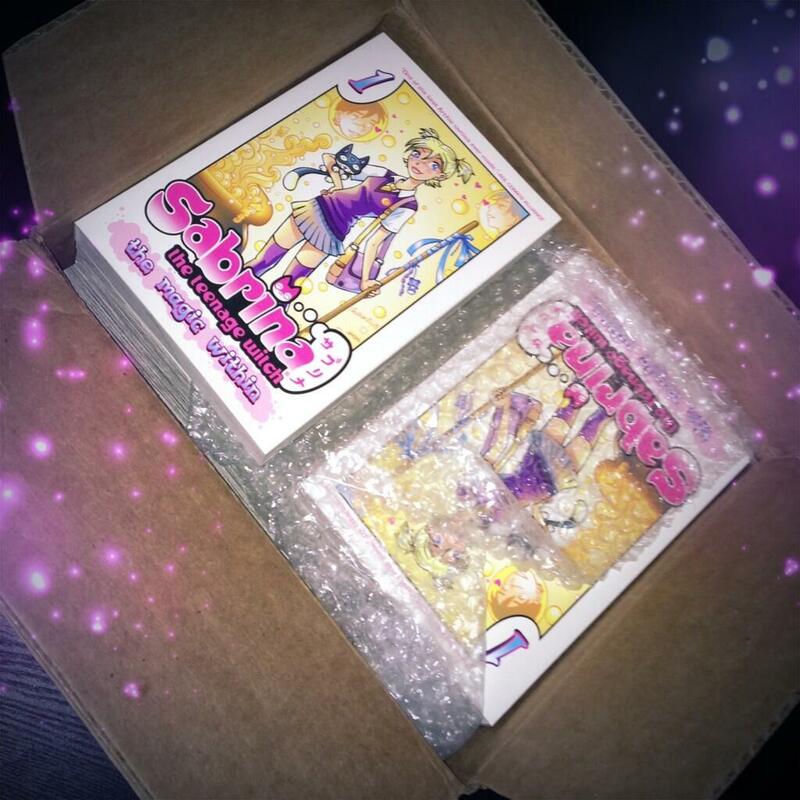 Sabrina the Teenage Witch Volume 1 Giveaway! Archie comics sent me this lovely box of Sabrina Volume 1 comps and I’d love to pass some along to you, my fans! I’m hosting a little giveaway where I’ll be giving away 5 signed, doodled copies of Sabrina volume 1. There’s many ways to earn extra entries and the contest will run for a week, so spread the word! So cool! I already bought (and loved) my own copy of this manga, but I don’t think I can resist entering this giveaway–signed and doodled copies are too awesome to pass up! Yay! Thank you for entering! Hope this is the right place to post. I’d love to have a copy of your book. I had to stop collecting floppy books eons ago so I think I only ever got one issue or two. Hi Mary! Thanks for entering! Thank you for doing this give away. I love this series and your work. After reading everything I became a fan of you.